Lindus Construction has been expanding throughout the country and continues to be innovative in their products and services. So, we wanted to congratulate them again for their hard work and achievements. We know when referring our clients to Lindus, they’ll be happy with the service and the way their remodeling projects turn out. We are seeing more and more people buying homes with intentions to fix it up and build it to their own wants and needs. On the show, Andy Lindus was able to point out some of the more popular projects he’s seen recently, and what we expect in 2013.Decks seem to be a big deal – many are finally having them installed, or refinishing existing decks. We’ve all see the houses with the plate attached to them but no deck off the back patio doors. Lindus explained that many build their homes with the intention to finish the deck later, and then often times they move out and never got around to it. So the first thing the new homeowners do, is add the deck. In addition, this is the same scenario for unfinished basements. These types of remodels are even more common with homes bought on short sale or foreclosures because the buyers are saving the money in the price of the home and can then, in many cases, afford to remodel right away. 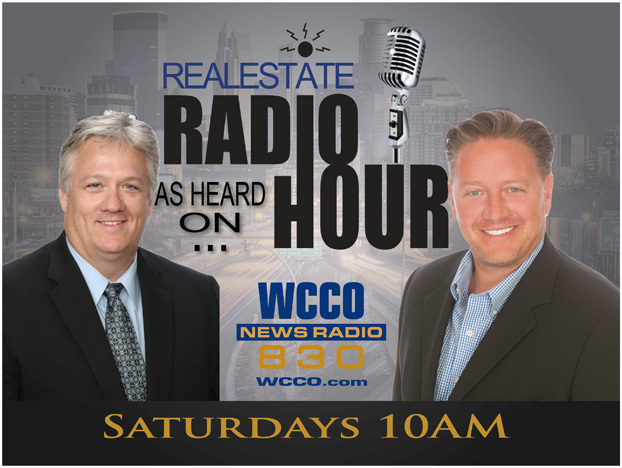 We brought in Garth Johnson from Minnesota REO Experts to talk about what’s happening with bank short sales and in the foreclosure market. 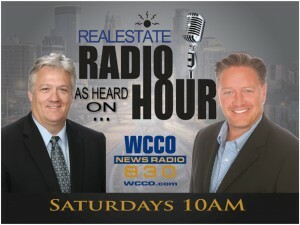 According to Garth, REO inventory is down and because of this, we are seeing more and more multiple offer situations. This is a topic many looking at buying veer away from because they don’t want to get into bidding wars. However, as we discussed on the show, it’s important to know what the bank is looking for in an offer. That way you can go into those situations more confidently and possibly end up getting the house you really want. Yes, the dollar amount is important but it also comes down to the different contingencies the bank has to deal with – is it cash, is it subject to financing, will there need to be an inspection… etc. Most often, there will be financing contingencies but Garth added that banks don’t necessarily prefer FHA over conventional or vice versa. Justin Jurkovich from W.J. Bradley was also in studio to further discuss financing options and how things have been changing. The market seems to be getting better with lower interest rates but another part of this, that Andy Prasky mentioned during the show, is there seems to be better loan programs now and more of them. Justin added that everything is being more thoroughly looked at for you to meet requirements, and they require more documentation for certain programs. Even so, with more options, it’s not a bad idea to consider refinancing or to ask your loan officer to help you look at some of those options. We also discussed auctions with Garth and looked at where that process has been and will go in 2013. In the past, if the house wasn’t selling when on the market for 90-120 days, they would then look for another viable option to sell – auctions being one solution. However, now we sometimes see banks putting them up for auction before they even list them for sale. Another thing Garth has been seeing more and more of, are pre-bids. They list the house on MLS as an auction, but accept offers before the actual auction date. In any case, auctions can be tricky to navigate and as Andy suggested, it’s not a bad idea to have your real estate agent tag along with you. We spent the remainder of the show answering listeners’ questions. Remember if you think of anything you’d like clarified/discussed or have other suggestions throughout the week, we’re always available here via the ‘Ask a Question’ button, or through our hotline 800.246.1867.